KUALA LUMPUR, March 24 — Malaysia External Trade Development Corporation’s (Matrade) signature business matching programme, International Sourcing Programme, recorded over RM110 million in potential export value at International Construction Week 2019. 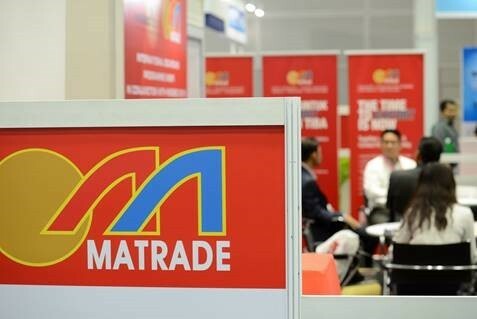 In a statement, Matrade said the event, which took place on March 19, successfully matched 45 Malaysian Small and Medium Enterprises (SMEs) with 17 foreign buyers from countries such as Cambodia, Vietnam, Thailand, Myanmar, South Africa, Hong Kong, India, Nepal, Poland, the United Arab Emirates and Nigeria. Director of Matrade’s construction and business services section, Datin Rusiah Mohamed, said the INSP was an effective platform for Malaysian SMEs in the building materials industry to find global buyers and a cost-effective avenue for SMEs with limited means to travel overseas to sell their products globally. Malaysian products and services highlighted at the INSP included tiles, wooden doors & flooring, paints, sanitary ware, steel products, safety equipment, energy saving & efficiency products, construction machinery, IBS systems and construction services.